Brooke Huffman has 4 years of experience being an Ophthalmic Technician as well as 4 years of assisting doctors with patient procedures, patient testing, contact lenses, education, and surgical referral information. 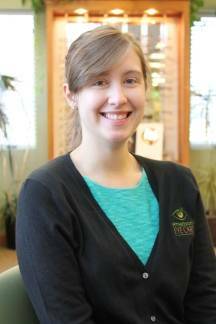 Brooke’s personality of being very detail oriented, thorough, polite, and efficient have gone hand in hand with her 8 years of Optical Experience to make each client’s experience at Atkinson Eye Care that much better. Her hobbies include: martial arts, spending time with her husband, 2 kids, friends, and family, watching crime shows.